It's Friyay! 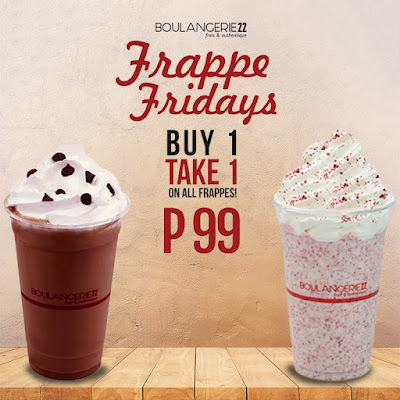 Check out Boulangerie22 Frappe Fridays Buy1 Take1 Promo. 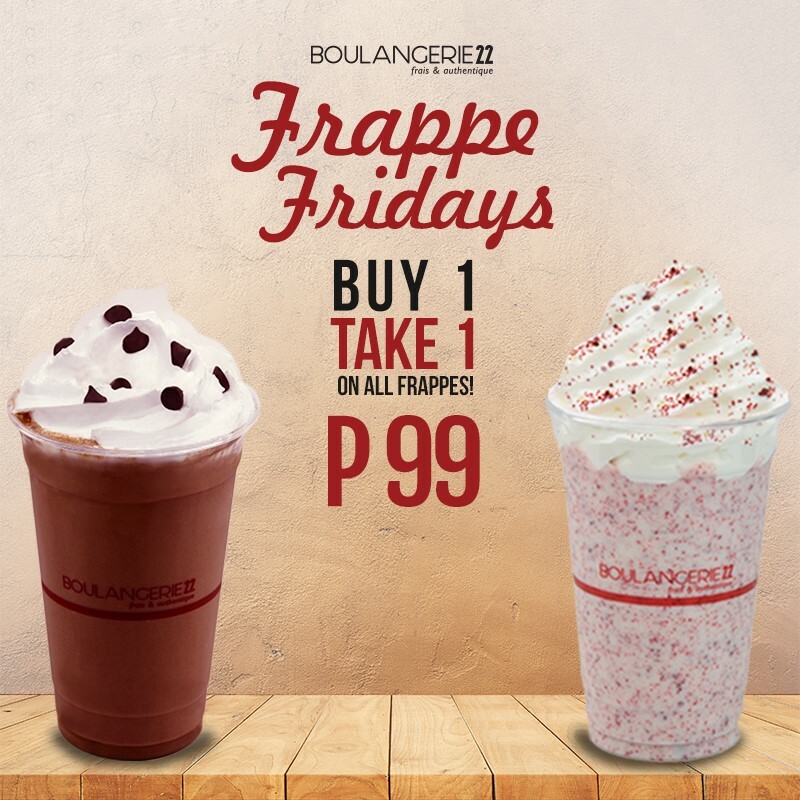 Get 1 Frappe for you, and one to share for only P99! Available on all Fridays of July 2017. Visit any of our Boulangerie22 Stores near you!